Craigslist is the United States Classified Ads Website that contains sections committed to housing, jobs, item wanted, for sale, services, Resumes, gigs, community, and discussion forum. To open an Account in a Craigslist, it is a simple process. All that you need to do is go to the account signup page. You just need to provide your email address on the signup page and provide a password and a verification word. Once you signup, you will get an email that asks you to confirm your account. If you forgot your Password for your Craiglist account, then you just need to ask for a password reset. The craigslist website does not look complicated and it looks very simple, which makes people think that there will be nothing goes wrong with this simple website. However, in recent times, the service is going down now and then. This is one of the few websites that you find on the internet without the need of whistles and bells to make it look decent, in fact, it is the content on the site that moves it than the looks. 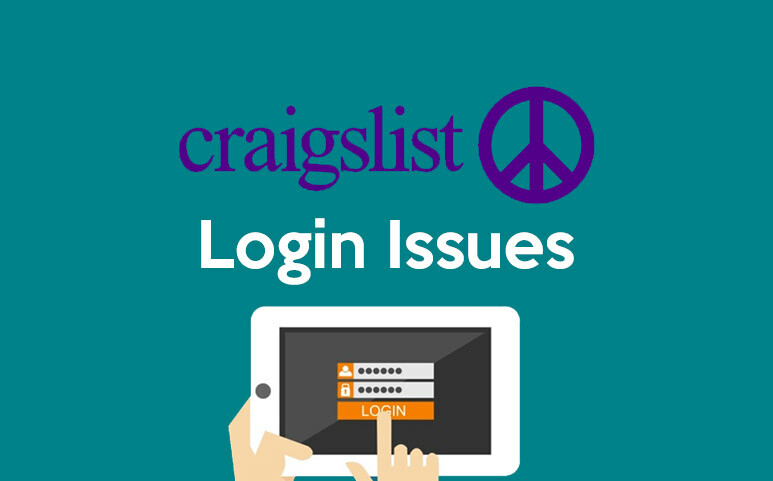 But, time and again Craigslist problems are happening, including posting, login, and loading problems. It is the best platform for classified online advertisements with the main focus on jobs, personals, housing, items for sale, personal, community messages, services, and several other things. The Craigslist website was established by Craig Newmark. The famous online business eBay owned a 25% stake. In the Craigslist website, you can find the graphs that display the Craigslist.org service status activity. The blue bar in the graph shows the response time that is better when lesser. If it displays no bar for a certain time that means the site was offline and the service is down. The Craigslist website, if it is down, you cannot do anything except wait till it resumes back. This could happen probably because the server is down, overloaded, or unreachable because of the outage, network problem, or sometimes it could be because of website maintenance. Refresh the entire site. This you can get by pressing F5 +CTRL keys together on your browser, including Chrome, Firefox, Explorer, etc. You must clear the temporary cookies and the cache on your browser to ensure that you have the latest edition of the webpage. A DNS (Domain Name System) permits an IP site address to be recognized with words like *.com to remember easily, such as websites phonebook. This service is generally offered by your ISP. You must also clear the local DNS cache that you hold the latest cache that is provided by your ISP. For Windows follow the process: Start and then go to Command Prompt, here type “ipconfig/flushdns” and then press the enter button. If you can get the accessibility of a 3G network or a website at the office, then it is the best plan to use a substitute DNS service instead of ISPs. Google Public DNS or Open DNS are both outstanding and free DNS services for the public.